Jalan Legian, Kuta Bali Indonesia, is a one-way street in Kuta. This street through the shopping complex and nightspots are very crowded at night. JalanLegian also be interesting attractions, the area for walkers who want to see the small-town feel with a shopping center very much. 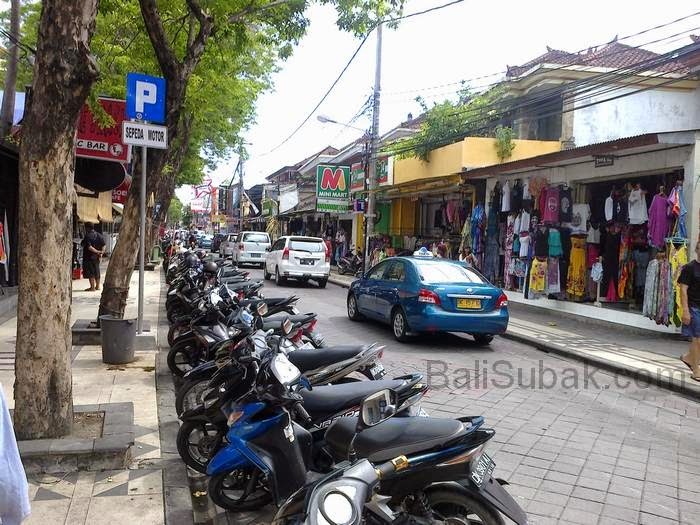 Jalan Legian, Kuta Bali, always crowded by vehicles. 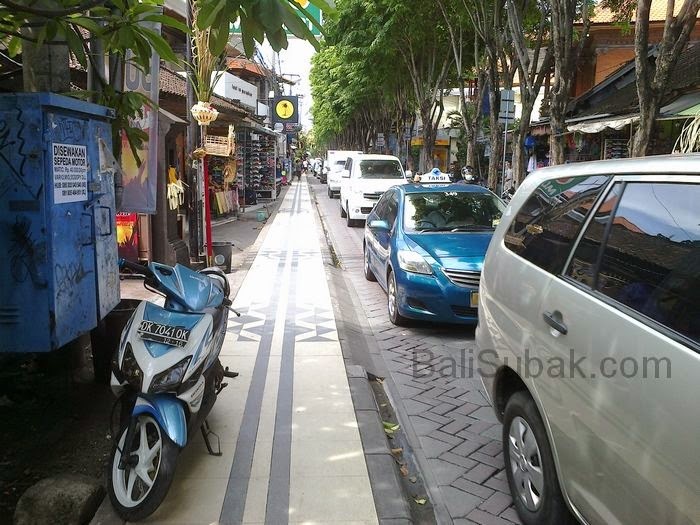 This street has always been the main way for tourists who will be heading to the attractions of Kuta Beach. Indeed, this way is not the only attraction to go to Kuta Beach. However, most of the tourists who are going through this path. Because in this way had occurred very sad, heartbreaking, making people feel very afraid so, it was a bombing incident. Bali bombing happened in Bali, and occurs in Jalan Legian, Kuta Bali. Near the center of the entertainment and crowd. The bomb exploded and caused widespread devastation. Many of the dead and wounded. The dead reach two hundred. But now that there are only monument that became a memorial to appease the incident. 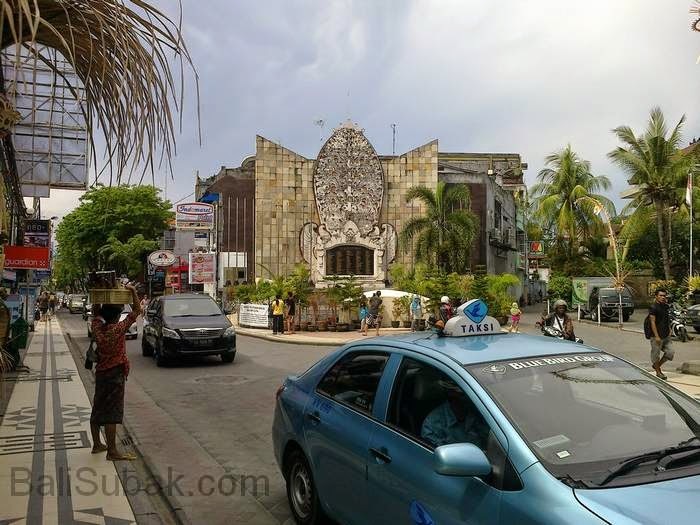 The existence of the Bali bombing tragedy monument is the reason a lot of people to go through Jalan Legian while heading to Kuta Beach. Many people want to know where the bomb tragedy. Although only a monument with the inscription list of names of the dead, but this monument be different because of the attraction that never happened in the history of the place. Jalan Legian, Kuta Bali, just a small street. Indeed, this path can be made into two opposite paths. But the road to the left has been used as a parking area for motorcycles, so the road becomes narrow. Converted into a single lane road that can only be passed by the vehicle from the north. If you want to rotate the direction of the vehicle, the driver must spend all paths to salvation and return man to the north to find her place. Every day Jalan Legian always crowded with vehicles. Which is always the case makes its way traffic congestion is becoming a crossroads for the bypass. Also the people who cross the street. Time the highest level of traffic congestion is at night, when the nightlife in Kuta begins. Although stuck in a traffic jam on Jalan Legian, pleasure can be tasted. Because across the road is the same as being in a tourist attraction, especially when traveling at night, when all the cafes, discotheques, bars turn on the lights and music with a very loud voice.